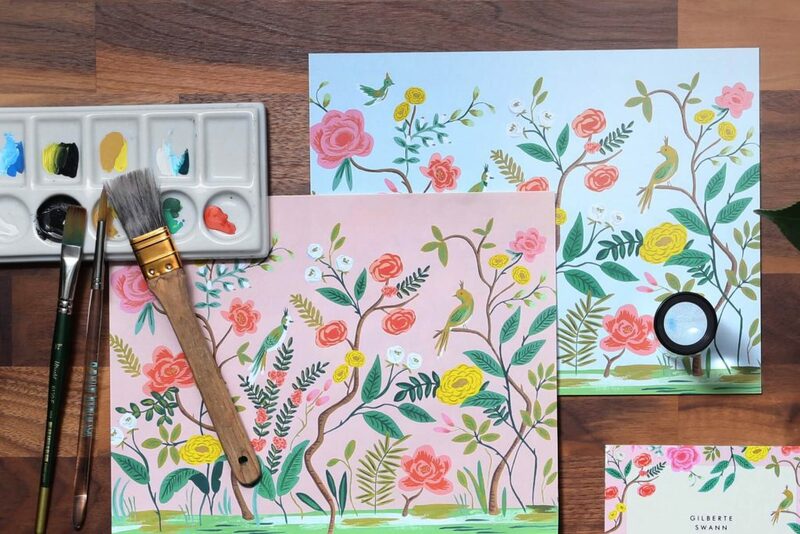 Flowers are the lingua franca of weddings, and no one knows this better than Rifle Paper Co.’s proprietor and painter-in-chief, Anna Bond. We’ve had the privilege of working with Anna since before the October 2015 launch of our collaboration, and there’s nothing quite like watching her translate her hand-painted artwork into beautifully wild floral wedding suites. 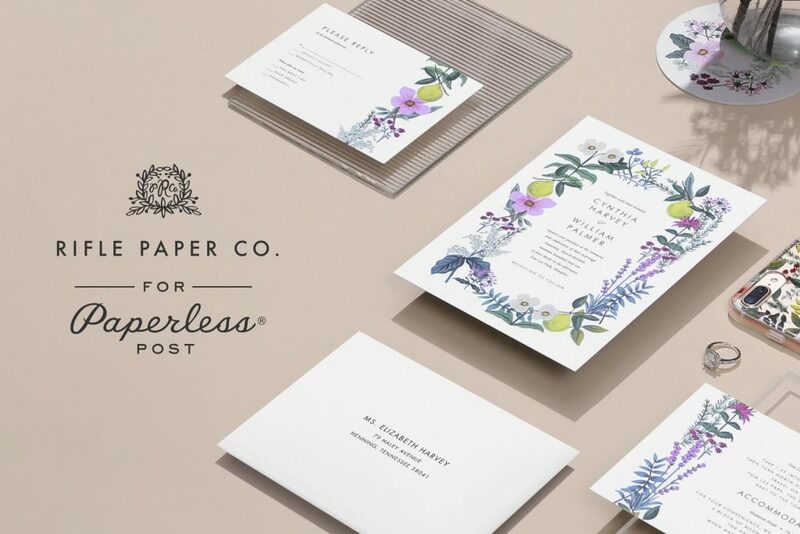 This year’s Rifle Paper Co. wedding collection blooms with garlands of fresh-cut flowers, garden herbs, and wild botanicals. Flowers have long been part of Anna’s repertoire, but she recently found herself painting a more edible set of flora—lavender, rosemary, thyme, and other garden herbs. These illustrations were originally destined for recipe boxes, but they immediately became one of her most popular products. 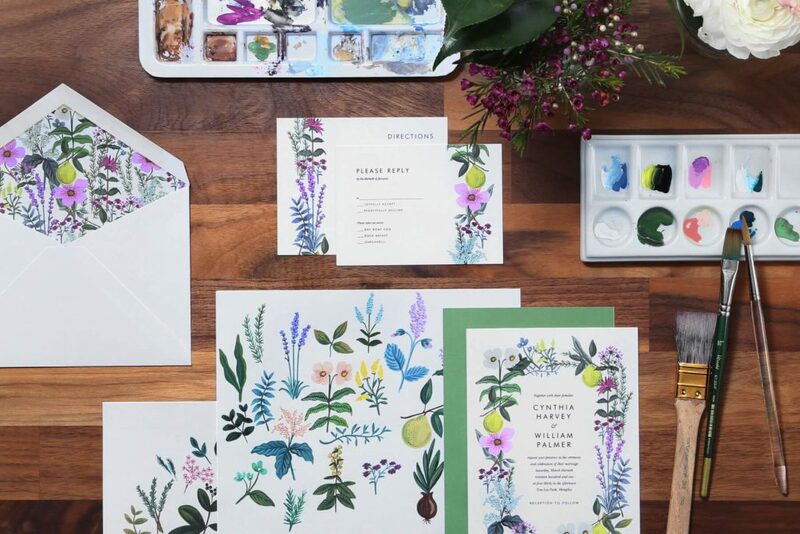 The sense of home and comfort that comes with aromatic herbs is a natural fit for a rustic wedding invitation, and we were so excited to reimagine Anna’s artwork for such an occasion that celebrates the beginning of a new life. “Nature’s already figured out a way to make everything beautiful,” she says. You just have to bring it to the ceremony.